Exquisitely Prepared Foods for Meetings, Parties, and Special Occasions. How do you offer your guests a truly delectable selection of foods at your next event? Let Falls City Market handle the catering. Kick off everyone’s day right with a breakfast bounty featuring fresh fruit, a menagerie of sweet and savory pastries, local bagels, and Heine Brothers’ fair-trade coffee. 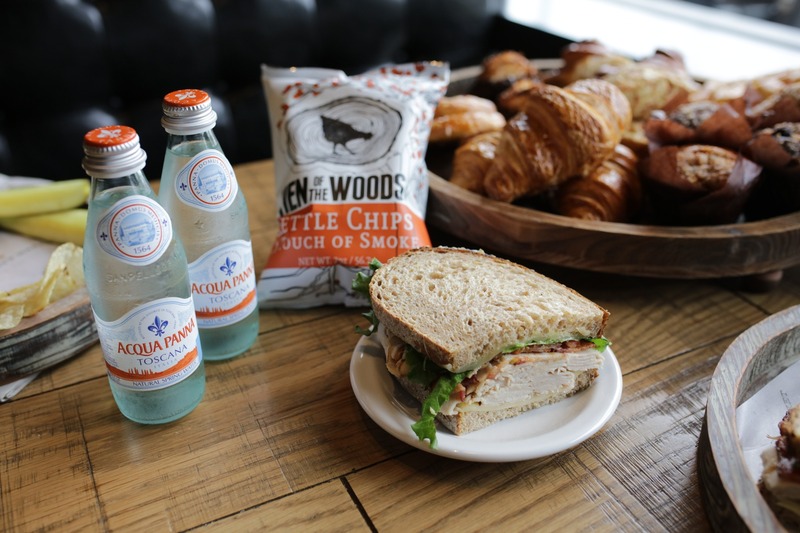 For lunch, present your guests with platters of sandwiches and salads they’ll not soon forget, featuring classic tastes of Louisville. Sandwich options include BBQ Rotisserie Chicken Salad, Louisville Sliders, Pulled Pork Salad, and Roasted Vegetable. Salads are never an afterthought with chef-inspired creations like Brisket Caesar, BBQ Pork Belly, and the Kentucky Cobb. Need a more portable lunch offering? Boxed lunches are also available. If you’re looking to take your party to the next level, top-shelf hors d’oeuvres are a sure way to impress. You can choose from spreads featuring a curated selection of local charcuterie, a crudité of fresh vegetables, or fine local cheeses. And of course, you can never pass on dessert! From fresh berries to fresh-baked cookies to heavenly eclairs, everyone’s sweet tooth will leave satisfied. Are you ready to give your next event the flavor of Falls City Market? Contact us directly to inquire about Falls City Market catering options. Orders must be placed a minimum of 48 hours in advance. There is a 6 person order minimum.